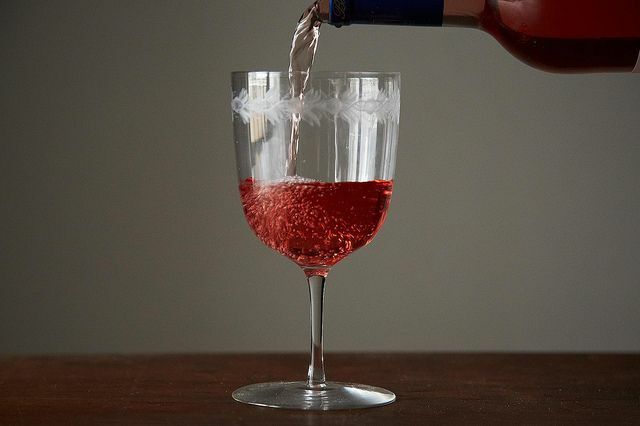 Sparkling red wine—make that good sparkling red wine—is the wine world's best-kept secret. Left to right: Lambrusco, sparkling Shiraz, and Brachetto D’Acqui. When I was in college I had a roommate whom I loved dearly, but who had incredibly different taste from me. I whipped cream by hand while she bought a tub of Cool Whip. I drank red wine while she drank fruity vodka concoctions whose names shouldn’t be repeated in polite company. So, when one day she brought home a bottle of sparkling red wine that she was over the moon about, I was skeptical. 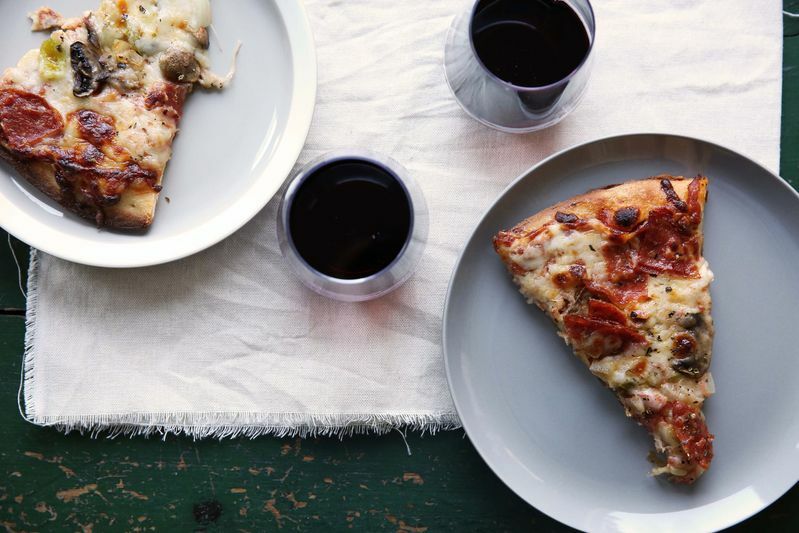 Plus, red wine isn’t supposed to be fizzy, right? What she had was a bottle of cheap Lambrusco: fizzy, cloying, and about on par with a wine cooler as far as complexity of flavor goes. My skepticism was confirmed and my opinion on sparkling red wine was set. That is, until a number of years later, when I was visiting a family friend of ours who was passing through Vermont. Our friend Karen and her husband Paul own a vineyard in Southern Australia where they make really beautiful handcrafted wines. Karen was on a sales trip in Canada and she popped down into the U.S. so my mom and I could meet up with her to say hello. She brought us a bottle of sparkling Shiraz that we all split, and I was floored. The difference between this and the Lambrusco I’d tasted half a decade earlier couldn’t have been starker. The Shiraz was effervescent, and awash with a complex mix of inky berry, violet, pepper, and oak flavors. Just a few months later, my husband and I were at a fantastic restaurant in Boston where our server vigorously recommended we try a dry Lambrusco they had just gotten in. We acquiesced, and I once again I was amazed by the complexity and brilliance of the wine. “Sparkling red wine is bound to become the next big thing here soon,” I thought to myself. But, it didn’t take off. Pinot Noir, rosé, dry Riesling, and others exploded in turn, but sparkling red wine has continued in relative obscurity. So, what gives? I think the problem is that while there are wonderful, extremely enjoyable sparkling red wines out there, they can be hard to uncover, and the sparkling red wine selection at even a large, well-stocked liquor store is liable to be a minefield littered with horribly bad wine choices. I spent the last several weeks combing the state of Minnesota for sparkling red wines and so far, I’ve only found a few I actually wanted to drink. Yikes. 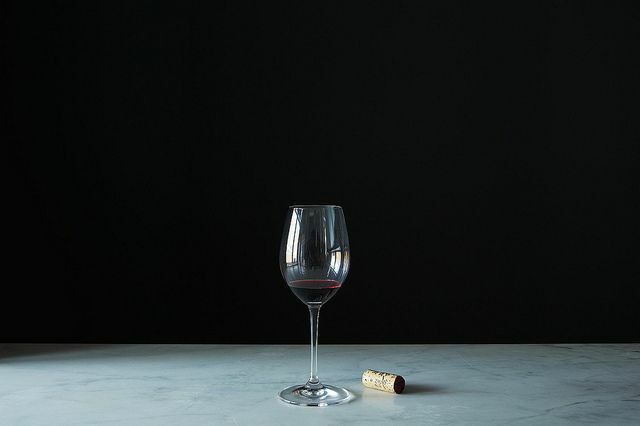 But, let’s have a look at the types of sparkling red you’re most likely to run into out there and try to figure out how to navigate. Lambrusco, which is probably the best-known style of sparkling red wine, is from the Emilia-Romagna region of Italy and is made from the Lambrusco grape. 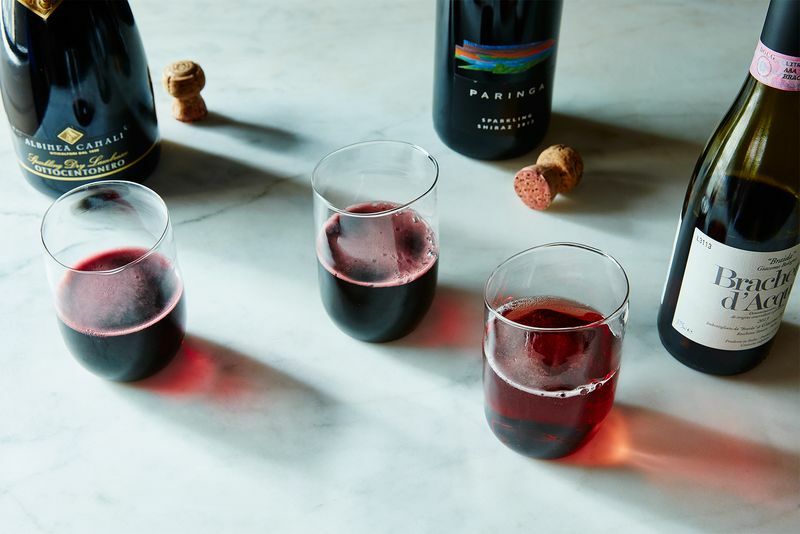 What most people don’t realize is that there is huge variation within the Lambrusco category: Lambrusco can range from cotton candy sweet to bone dry and tannic. A Lambrusco that is secco will not be sweet in the least, while one labeled dolce or semisecco will be quite sweet or semi-sweet respectively (off-dry can also be called amabile). My friend Chuck, who runs a fantastic wine shop called Solo Vino in the Twin Cities told me another trick for discerning how sweet a Lambrusco: Look at the alcohol content. It’s not a guarantee, but it is a clue. As wine ferments, sugar is converted to alcohol. There’s a tradeoff there, so generally a wine with a lower alcohol content has more residual sugar and will be sweeter (around 6% will be very sweet), while a wine with a higher alcohol content (around 11%) will be drier and more tannic—sometimes so tannic that it will give you cotton mouth and you wouldn’t want to pair it with anything but the richest of meals. And in the middle (around 8%) is likely to be in the sweetness ballpark of a berry-forward Merlot. Lambrusco di Sorbara has a pinkish—rather than a deep red—color. To make Lambrusco even more complicated, there are light styles, usually called Lambrusco di Sorbara. You can also tell by looking at them that they are light because they will be pinker in comparison to the deep red of the richer style of Lambrusco known as Grasparossa. Lighter styles will have marked notes of strawberries, raspberries, and rhubarb; I like them on the drier side to keep the fruit from being cloying. On the other hand, I like the Grasparossa style to have just a touch of sweetness to keep it from being tannic (tasting a dry Grasparossa can be like taking a sip of black tea that has steeped for a half hour). My favorite that I tried recently was 8%—that is, amabile—from the Cleto Chiarli vineyard, which tasted intensely of raspberries, blackberry jam, dark stone fruit, and violets. Lambruscos that are dry or semi-dry can be fantastic pairings for rich food because both the bubbles and acidity cut through the richness. 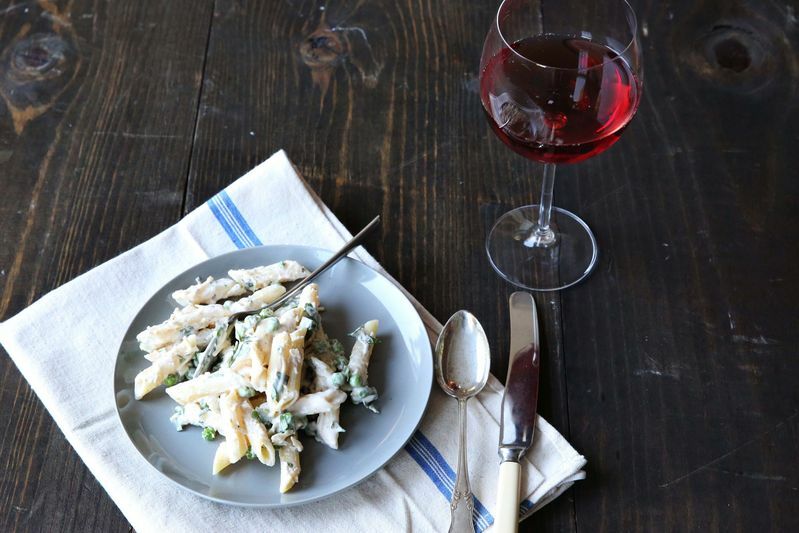 Pair it with creamy pasta, cheese and meat plates, or Thanksgiving dinner. Sparkling Shiraz is extraordinarily popular in Australia, at least according to my friend Karen, and is the pre-dinner drink of choice for many people. Like Lambrusco, it can be dry or sweet or in between, but it is not necessarily labeled, so the alcohol content trick can come in handy here. Shiraz has higher alcohol content in general than many varietals, however, so expect them to be in the range of 12.5 to 14%. A nice sparkling Shiraz has all the varietal characteristics of a regular Shiraz—deep berry flavors mingling with pepper, anise, hints of herbs, and vanilla, combined with a creaminess and zest from the bubbles. Many of these wines are actually blends of Shiraz and other grape varietals. The problem with sparkling Shiraz is that much of what is available is cheap Shiraz, produced en masse and suffering from the same faults as any cheap, bad Shiraz: dull, vinegary, unbalanced fruit flavors, all made more punctuated by the presence of bubbles. 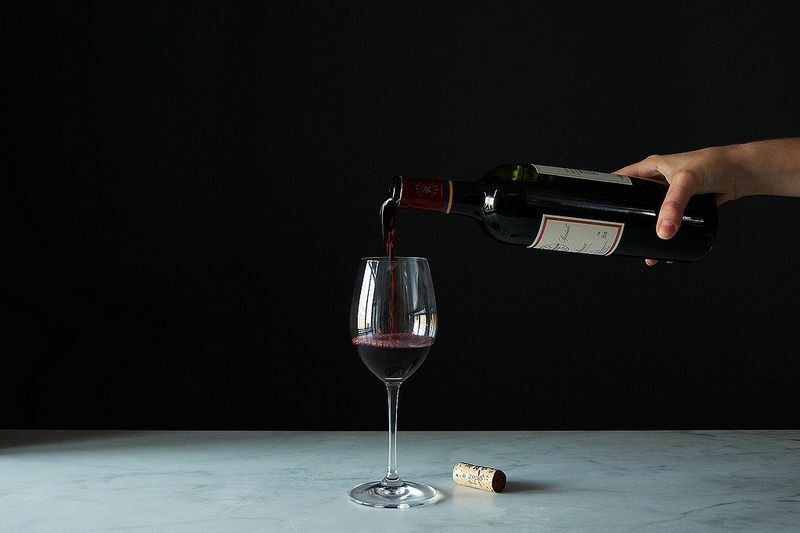 If you want a sparkling Shiraz worth drinking, you’ll likely have to look in the $30 and up price range, and many liquor stores aren’t willing to carry pricey Australian wines because they don’t think anyone will buy them. But, if you find one, buy it! And serve it slightly chilled as an aperitif or with barbecued meats or rich foods. This is the final style of sparkling red wine you’re likely to run into in a liquor store, and it brings us back to Italy. It is made in the Piedmont region from Brachetto grapes, and it is always sweet and quite low alcohol, usually around 5%. Brachetto d’Acqui is so sweet and candy-like, I consider it a dessert more than I consider it a wine. The aromas and flavors of Brachetto are reminiscent of strawberries combined with potpourri, and violet pastilles. Think a combination of a Moscato, a berry-rich rosé, and the aromatic lychee flavors of a Gewurztraminer. Because of its sweetness, a Brachetto, like a sweet Lambrusco, should be saved for the end of the meal. It could be a dessert on its own, or you could serve it with something like chocolate cake or cheesecake—or even use it to make an ice cream float. There are a variety of other styles of sparkling red wine floating about out there in the universe of available wine. After all, in the right hands, any red wine could become a sparkling red. Of course, this doesn’t make it any easier to feel confident in making a good choice when looking at sparkling red wines. The best bet, I think, is to talk to someone at a liquor store or a restaurant whose taste and advice in wine you trust, and see if they can steer you towards something fun. Because when it comes down to it, anything with bubbles should be fun. Two questions. 1. How about sparkling Burgundy? My parent used to get one for their Anniversary toast Thea was as I recall a decent wine. 2. Are any of these naturally fermented champagne style or are they all cO2 injected? http://www.andersonwinery.com.au/sparklings.htm#!/wines/2002-cellar-block-sparkling-shiraz, Or The Valhalla Wines 2012 Sparkling Shiraz with grapes handpicked by yours truly. For some thing with great power and length try the Anderson 2006 Sparkling Durif (the noble Durif grape is a feature of the area). Get some now to have with your Christmas Turkey. Need a personalised tour around these wineries try? DO It With Style Winery Tours. Deep & flavorful but not heavy or cloy. Try it! I tried Mumm Napa's Cuvee M Red, a sparkling mix of pinor noir and syrah, and very much enjoyed it. It doesn't seem to be sold at my local chain, but I'm excited to try more sparkling reds! Domaine Chandon in Napa Valley makes a sparkling red that delish! People are always surprised by it and then love it. Ever since a visit to Australia, I've been sold on sparkling Shiraz. It's nearly impossible to find in Northern California. BevMo has carried a variety (Paringa, Vixen, others), but never for long. I think they would be perfect to market at Christmas and Valentine's Day, just to get people to try them. Any ideas how to get the word out? I tried sparkling shiraz earlier this year during my first trip to Australia. We went to the Hunter Valley and had a lovely bottle from a small winery called Wombat Crossing. And we had it chilled, absolutely delicious. It was the Butcher Shop (one of Barbara Lynch's restaurants), in the South End. Sparkling Shiraz is me and my husband's signature drink. We use it to toast every anniversary (25 of them last count). Get a good one from South Australia. Our go-to is Rumball. Yum. Don't the fantastic Baga grape of Portugal - it produces very elegant Vinho Espumante (sparkling wine) from the Bairrada growing region in central Portugal. Some vintners like Luís Pato and Filipa Pato have been making espumantes and still wines in Bairrada for decades. The flavor is earthy and yeasty, with subtle notes of wood and sometimes tobacco. However, despite having more body, it is refreshing and doesn't coat or burn the palate - the tannins are not nearly as rough as those of the still Baga varietal wine. I would highly recommend checking out vinho espumante made in the Bairrada region if you want a unique sparkling red. I haven't found any in this area, but I'll keep a look out! How about a nice gragnano? 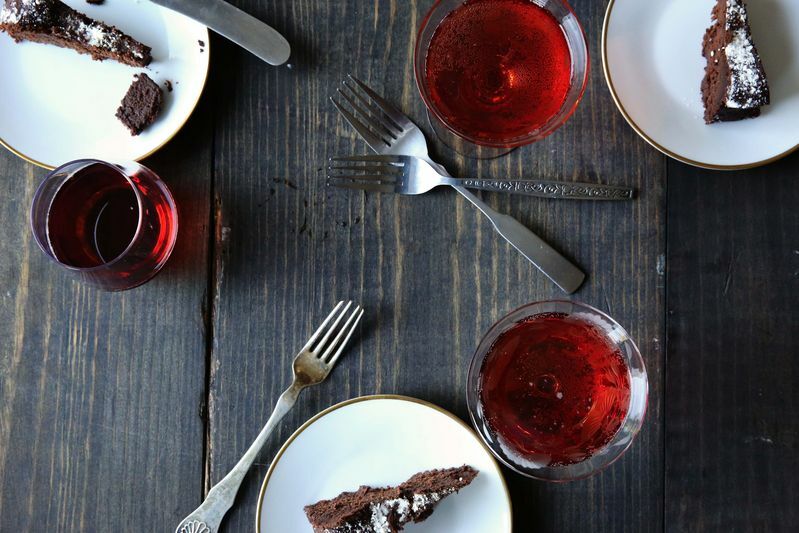 I was introduced to Brachetto d'Acqui by my Italian cooking maven, the late, great Anna Teresa Callen, who brought a bottle to my home when she knew I was serving a chocolate/raspberry terrine for dessert. And it was the perfect accompaniment. I like to keep a bottle on hand ever since that time for the "in-case." It is VERY sweet. There is also the sweet Sangue di Giuda (Juda's blood), so colled because you drink it trusting you won't get drunk (it's so sweet and drinkable), but you do get drunk eventually. Brachetto D’Acqui is an unsung hero of summer--love it more than any rose!